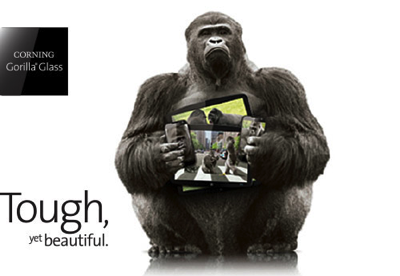 Corning has today announced the launch of next-generation Gorilla Glass 6 for consumer mobile devices, that promises to offer “unprecedented protection” against multiple drops. “Now more than ever, it’s critical that the cover glass provides outstanding protection,” said John Bayne, vice president and general manager, Corning Gorilla Glass. According to a recent study, people drop their phones seven times a year on average, with over 50% of the drops occurring at 1 meter or below. To improve cover glass performance, Corning scientists developed and engineered an entirely new material to address the challenge of multiple drops. In lab tests, Gorilla Glass 6 survived 15 drops from 1 meter onto rough surfaces and is up to two times better than Gorilla Glass 5. Under the same test conditions, competitive glass compositions, such as soda lime and aluminosilicate, did not survive the first drop. Corning Gorilla Glass 6 is currently being evaluated by multiple customers and is expected to reach the market in the next few months including Apple’s 2018 iPhone lineup.